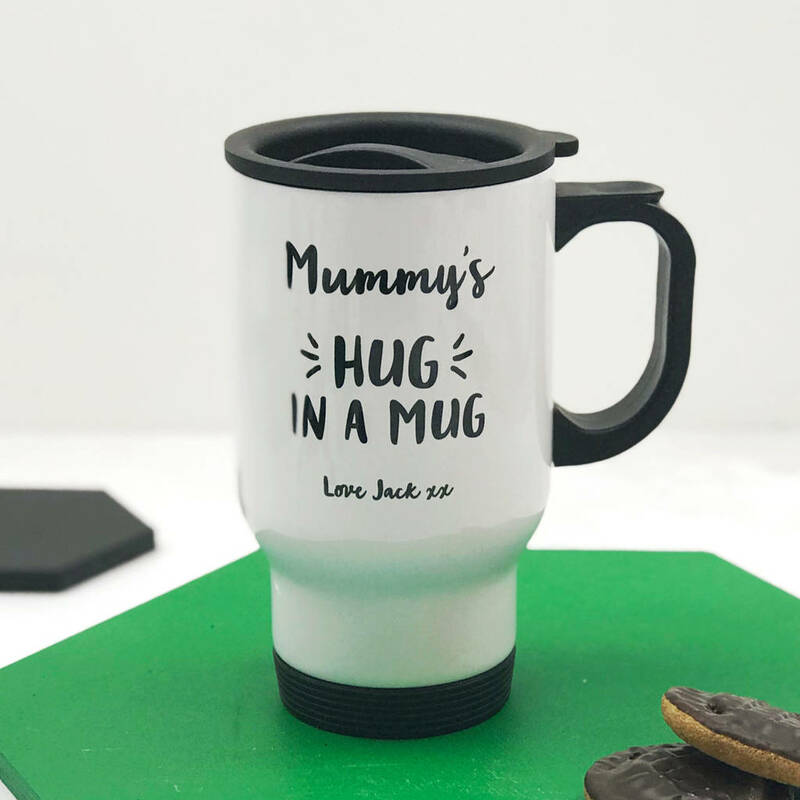 Make sure Mummy feels loved on the go with our hug in a mug travel mug, perfect for school runs, dog walks, and footie practice! 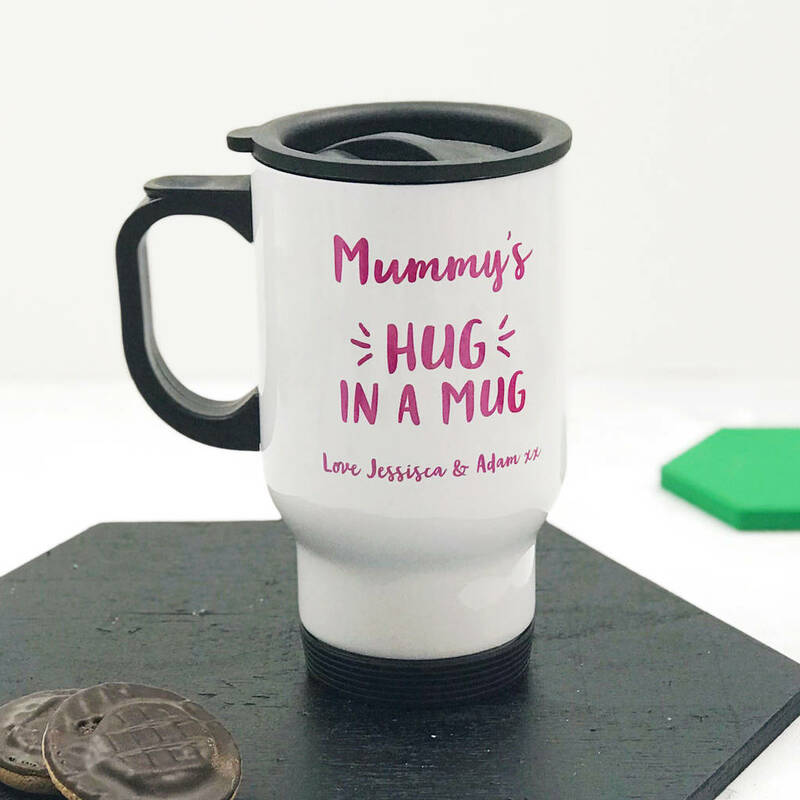 This charming design can be personalised with your choice of name (Mum, Mummy, Grandma etc) as well as the names of her children. All our travel mugs are double insulated, and steady as anything. 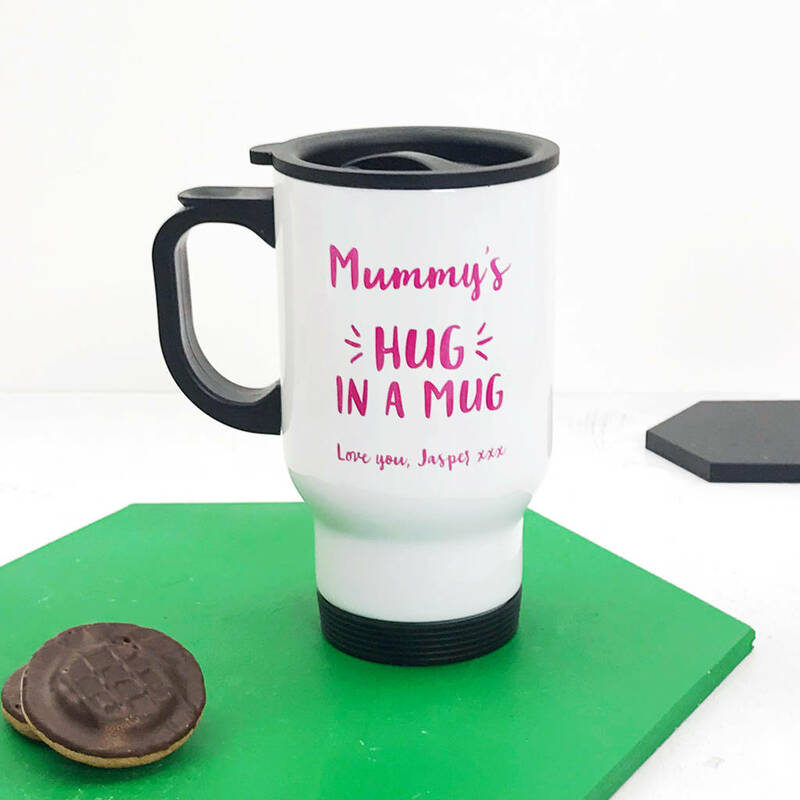 They'll keep tea and coffee nice and warm, with no spills. 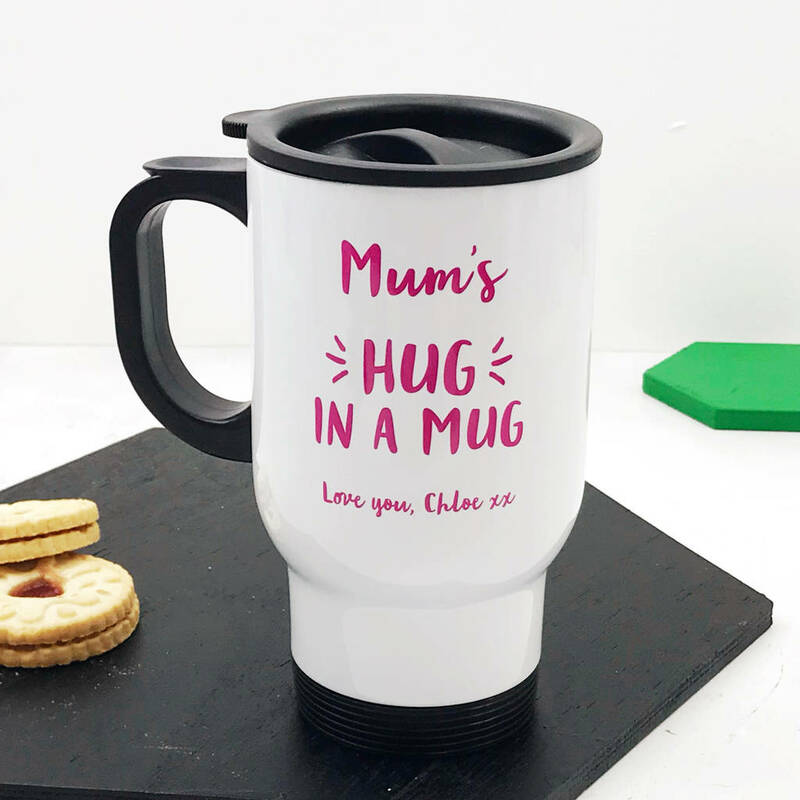 This travel mug is a lovely gift for mum on her birthday, on Mother's Day, or at Christmas -- or even as a back to school gift to keep her warm when the cooler weather comes. 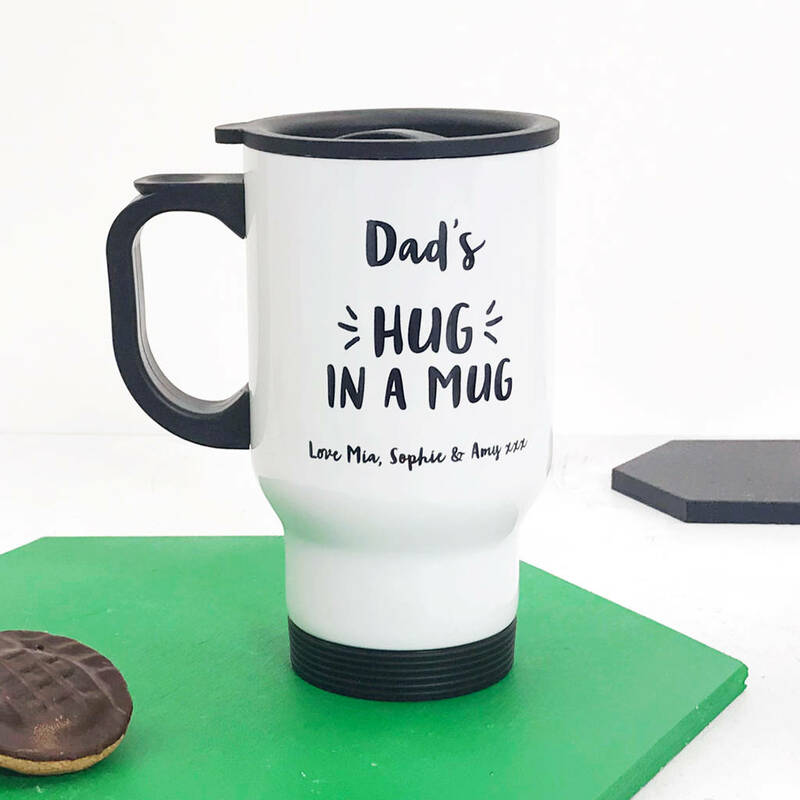 Choice of text colour - pink or black. 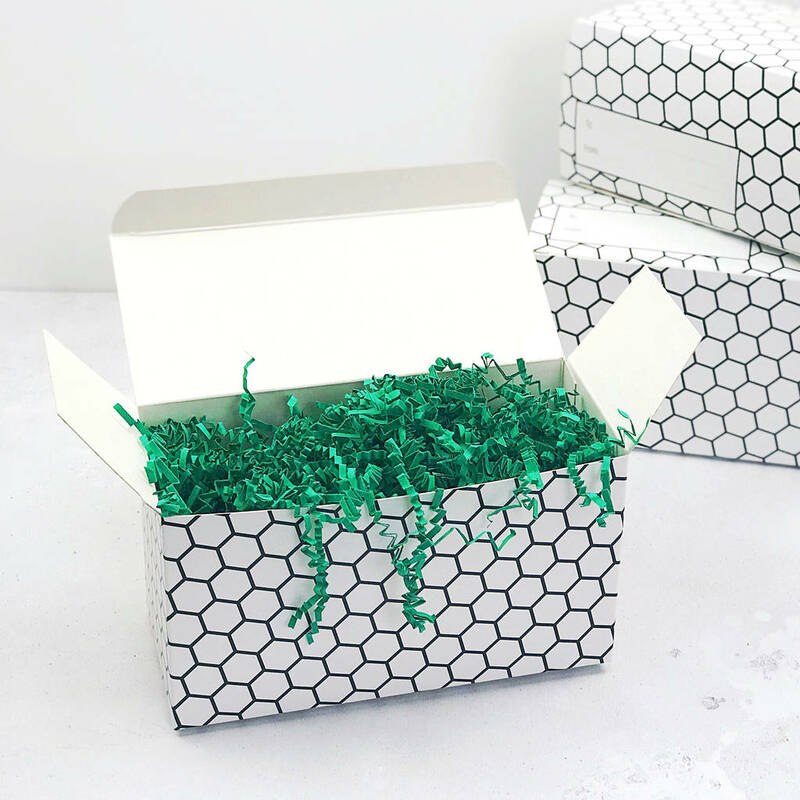 This product is dispatched to you by XOXO.